Orphek to release the new Atlantik V2 LED Pendant December 1, 2013, Due to the expected demand,we are now accepting pre-orders. 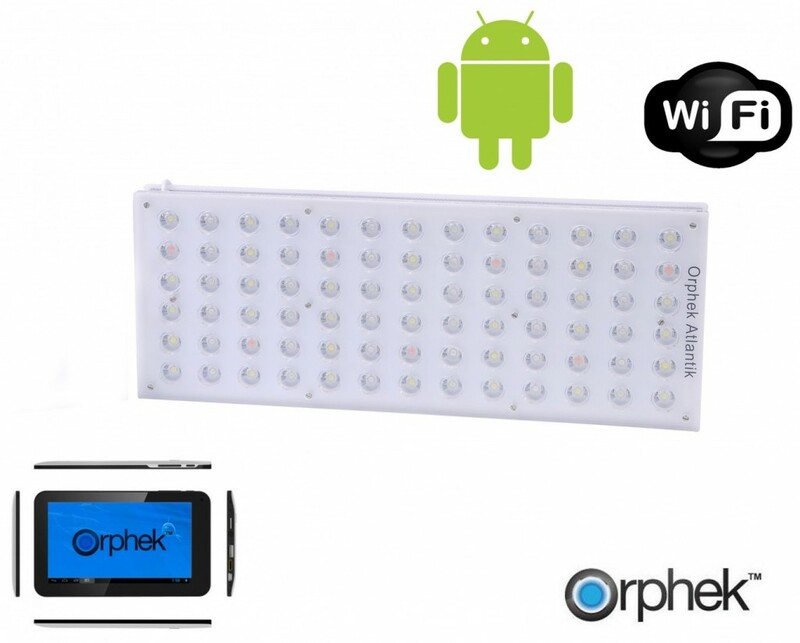 Orphek has set a new benchmark in LED lighting systems with the introduction of the Atlantik V2 Wireless LED Pendant controlled by Android Tablet / Phone. 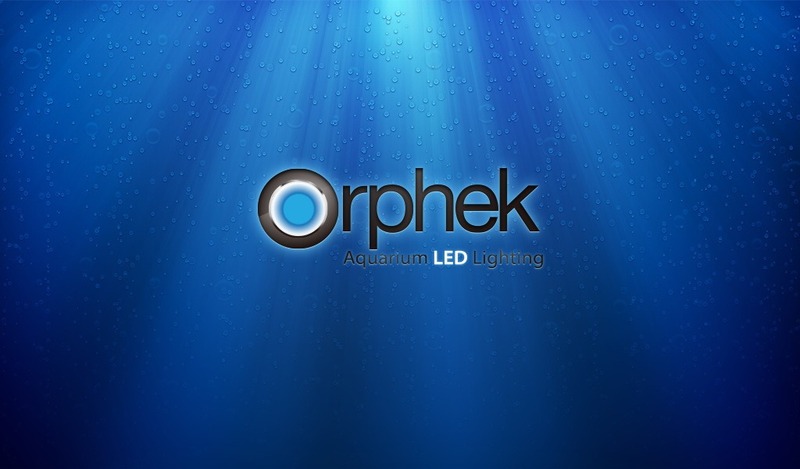 Orphek’s major goal was to increase the lumens per watt in the lower spectrum range 380-430 nm. This lower spectrum range 380-430 nm is also the range that chlorophyll A depends on to provide the necessary nutrients that corals need to survive and grow. Without chlorophyll A corals cannot survive. 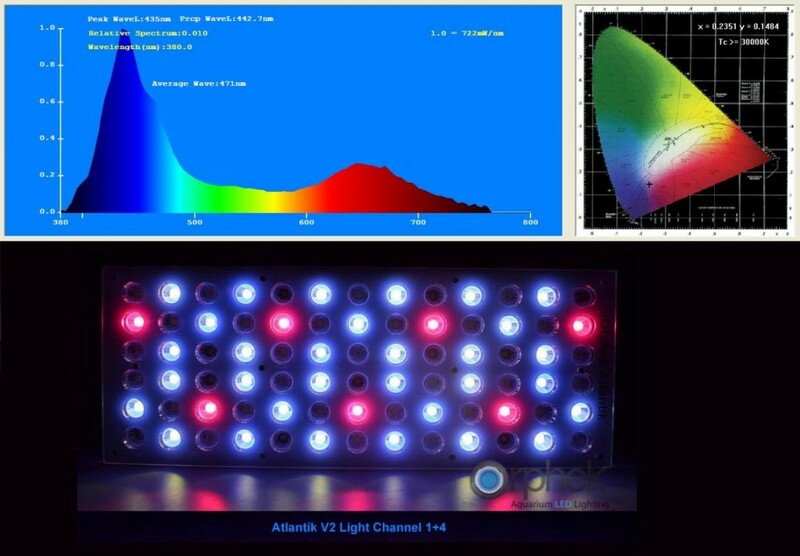 The Atlantik V2 features 42 pcs of our new UV/Violet/White LEDs helps to increase the spectrum promoting Chlorophyll A which is an essential building block to good coral growth. The problem with common UV/Violet diodes is that they provide only approximately 2 to 4 lumens per watt which appears darker to the human eye’s receptors. 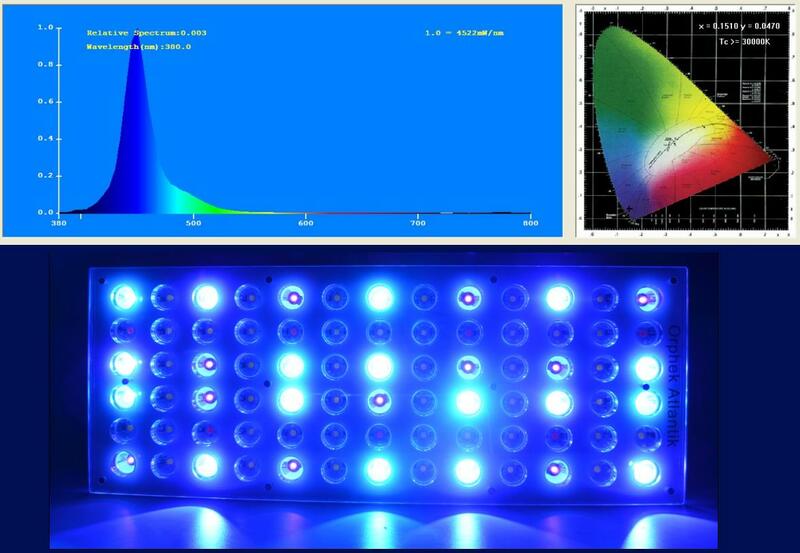 To overcome this problem of low Lm/w Orphek developed a new wide White UV/Violet LED within the 400-420 nm range and 420-440nm range with higher lumens per watt. With Orphek’s new wide White UV/Violet LED we have increased the intensity of Lm/W by up to 15 times more than any common UV/Violet LED. Further improvements include our Wide Blue and Wide Red LEDs. The new Blue/Cyan increases the intensity in the 470nm-520nm spectrum, so your corals will appear noticeably more florescence. Channel one is 100% White UV/Violet and is tuned to promote development of chlorophyll A in corals. Chlorophyll A is a specific form of chlorophyll which is used for oxygenic photosynthesis. It absorbs most energy from wavelengths range of violet-blue and orange-red. 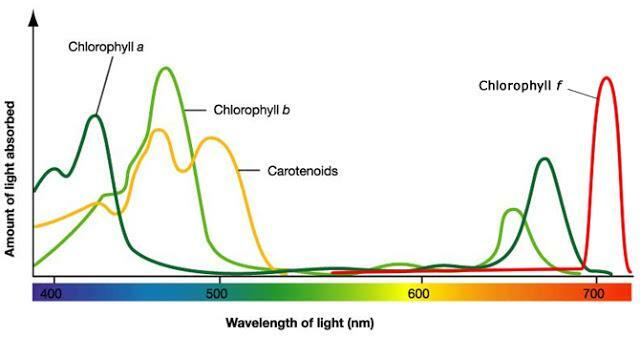 Chlorophyll A is a primary process of transporting energy to the coral tissue and this can only occur if sufficient light is available in the 410-430 nm range. 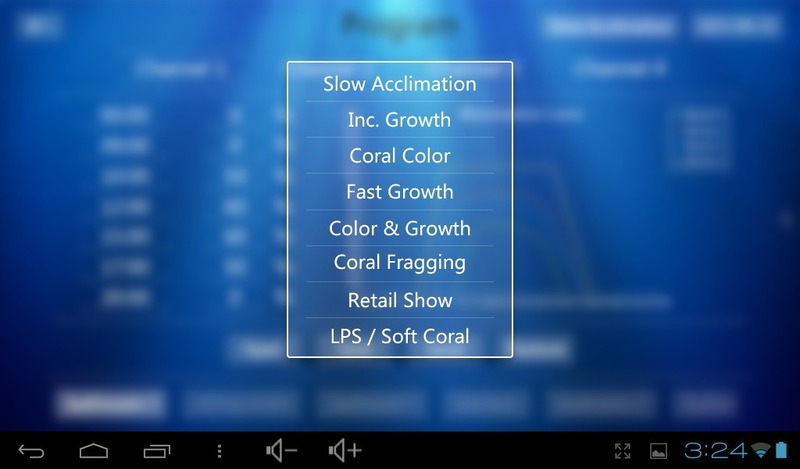 Channel 2 is an ideal channel for Wide Moonlight effect from 380nm to 520nm while still enhancing colors and your corals will appear noticeably more florescence. 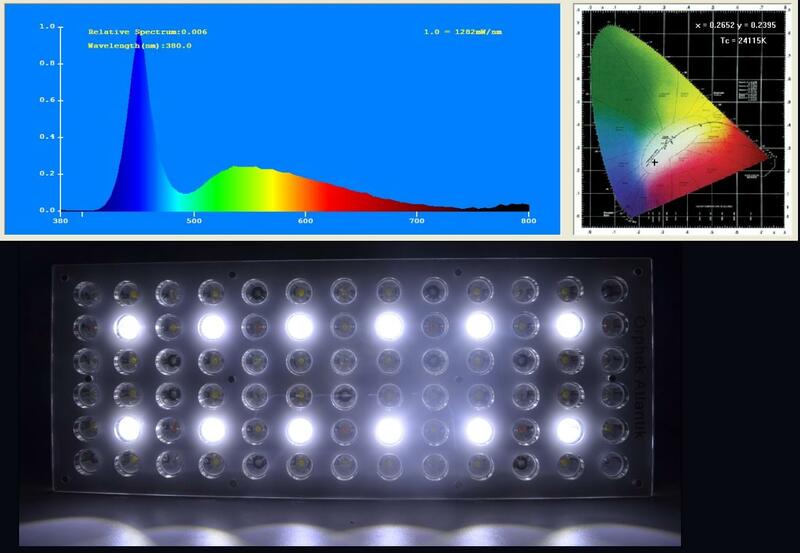 Orphek White LEDs at high Kelvin provides better PUR than a lower Kelvin White LED. This Channel is also excellent to increase the brightness to your tank due to high lumens of the White LED. 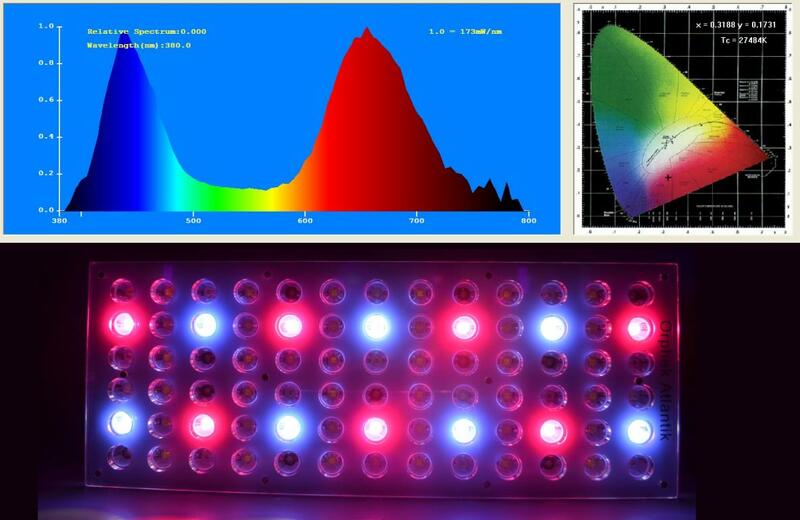 The Red /Violet Channel is a full spectrum 380nm to 750nm to target Chlorophyll A and B C and F.
Atlantik V2 provides 15 different combinations allowing full color control and dimming from 0 to 100% of light intensity on each channel. For an example, channels 1 and 4 provide an ideal spectrum of Chlorophyll A and B . 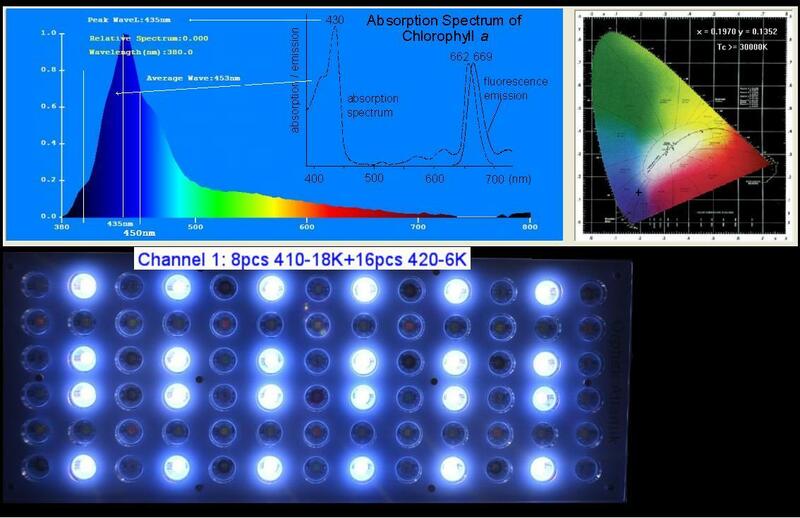 For an example, channels 1 and 4 provide an ideal spectrum of Chlorophyll A and B . The wireless feature is another plus. It allows simultaneous wireless controlling and programming of up to 252 Atlantiks using only one tablet. Each Atlantik is assigned its own digital address. Tanks can be distributed in different locations in the range of the wireless router. Further information about this newest Orphek launch is going to be detailed in future articles and product page. For more information about our Atlantik V2 and any of our Orphek products, please contact contact@orphek.com and one of our consultants will be glad to be at your assistance.